Happy Halloween! 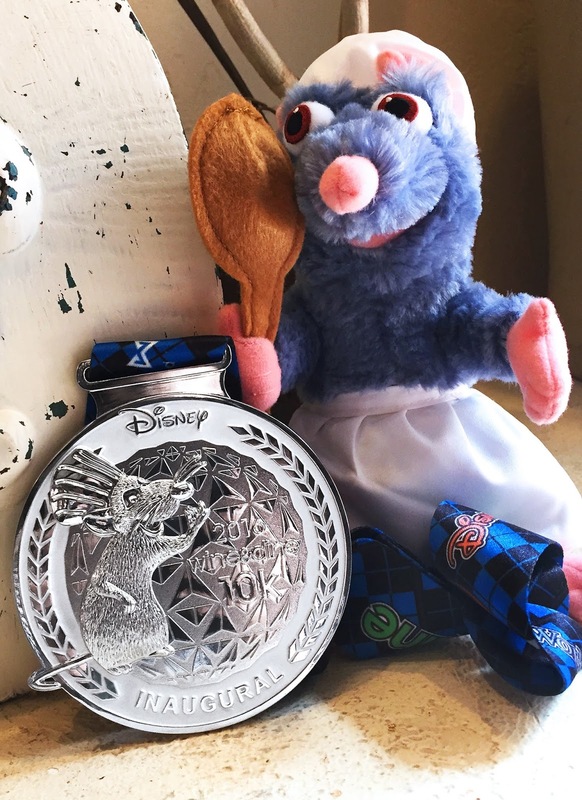 Today is my favorite day of the year so it makes sense to write about my favorite runDisney event - Wine and Dine Half Marathon, which is taking place this upcoming weekend! I will be running this race with my best friend Keri! 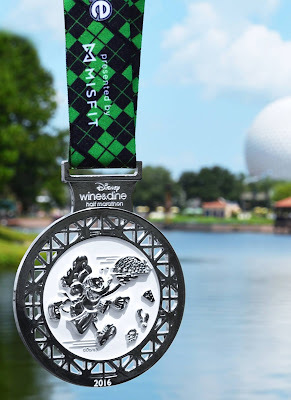 Not only do we get to spend 13.1 miles together, we also get to enjoy the Epcot Food and Wine Festival and spend much needed R&R time at Hyatt Regency Grand Cypress pool! 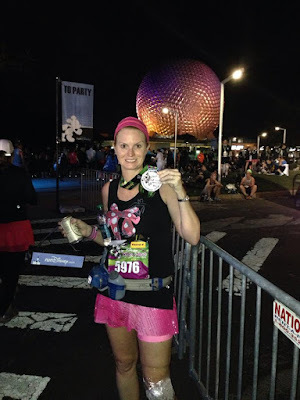 My first time running Wine and Dine Half was in 2013, 6 days following running my first New York City Marathon (which was also my first full). Although very sore and slow, I loved running Wine and Dine Half. Many many many changes have been made to this race weekend and this post is full of very important information. Please pay extra attention to the Half Marathon transportation info. If you are not staying at a Disney Resort you will need to drive to Epcot and be transported to Wide World of Sports and the last bus will be boarded at 4am. Also, don't forget to turn your clocks back on Saturday night! Talk about perfect timing for an early Sunday morning wakeup call. By now you should have received your post event information in the mail (address used in Active account). Be sure to bring that (along with your Disney gift card) to the after party. 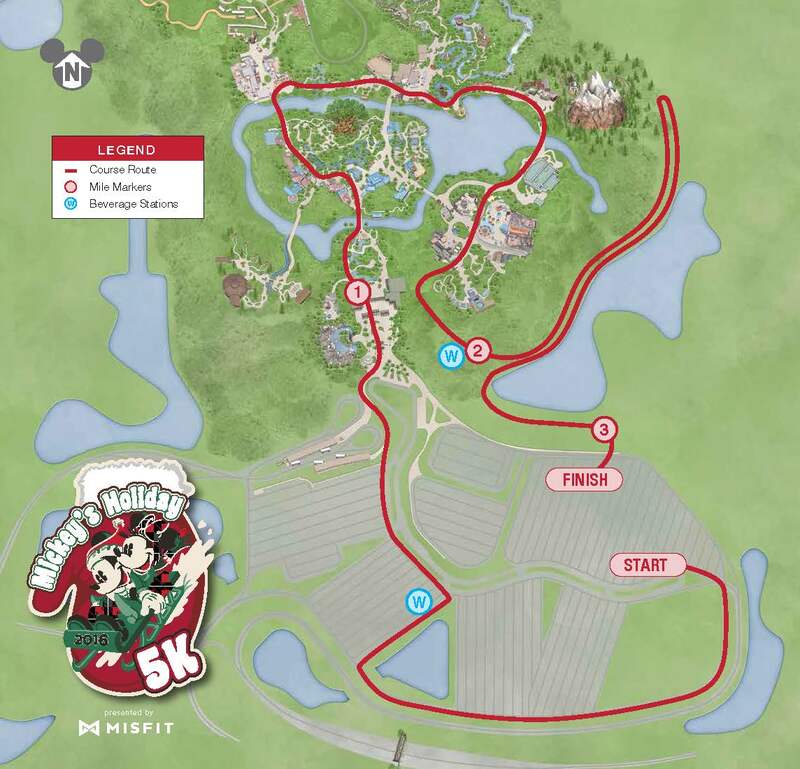 Driving Directions to runDisney Health and Fitness Expo: Take I-4 to exit 65 (Osceola Parkway West). Take a left onto Victory Way and park in the main lot. Proceed on foot to the main entrance. Please follow the signs to Disney’s Animal Kingdom® Theme Park. 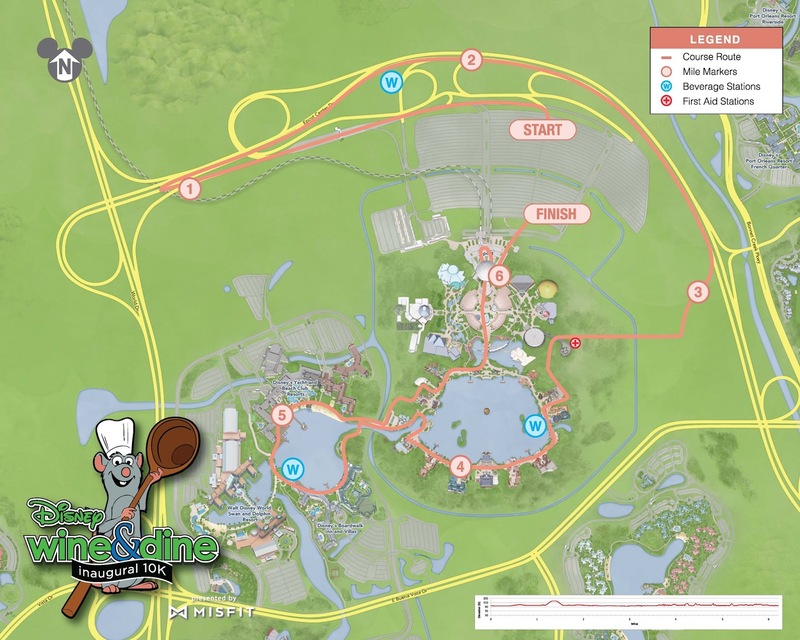 Pass through the toll plaza and you will be directed to park in the appropriate parking lot by Parking cast members. Parking at Disney’s Animal Kingdom® Theme Park is complimentary before 7:00 a.m. If you arrive after 7:00 a.m. you will be charged the daily parking fee. 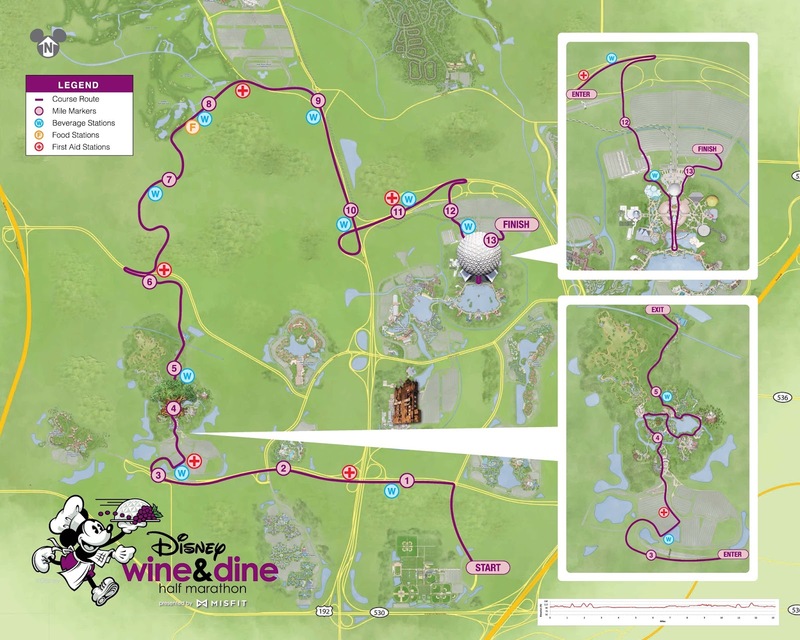 Saturday, November 5, 2016 – 5:30 a.m.
Driving Directions Disney's Wine and Dine 10K: Take I-4 to exit 64 (192 West) and follow the signs to Epcot®. Sunday, November 6, 2016 – 5:30 a.m.
Driving Directions to runDisney Wine and Dine Half Marathon: Take I-4 to exit 67 (Epcot Center Drive) and follow the signs to Epcot®. There will be no parking and no guest drop-off at ESPN Wide World of Sport Complex on race day. For guests driving to Epcot® on race morning, the race shuttle from Epcot® to the Sports Complex will begin at 3:00 a.m. 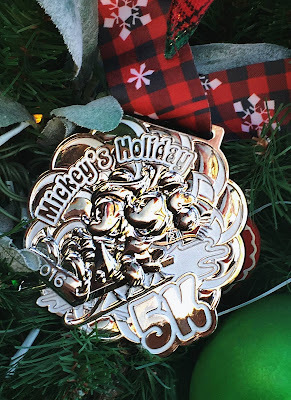 The parking fee at Epcot® will be waived for participants and spectators arriving before 7:00 a.m. on race morning. 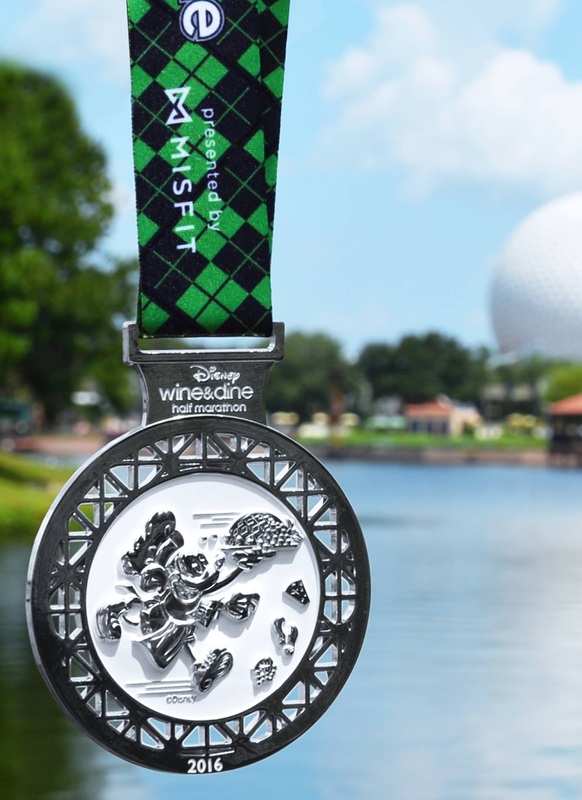 All participants must board shuttles from Epcot® to the Sports Complex no later than 4:00 a.m. in order to make it to their corrals on time. Sunday, November 6, 2016 – 10:00 p.m. to 1:00 a.m. 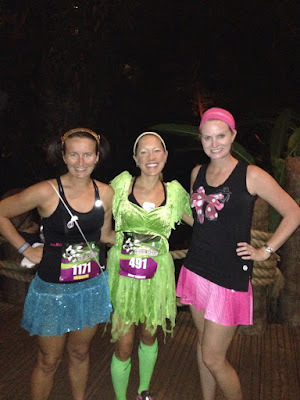 Your Post-Race Party ticket will be sent to you via the address listed as part of your active.com registration profile. Your race bib cannot be used as entry; you will need to present your Post-Race Party ticket. Entry into Epcot® before 8:00 p.m. will require a Magic Your Way® theme park ticket. Tickets are valid only during the specific event date and hours. Tickets are non-transferable and non-refundable.